Zingerman's corned beef, Swiss Emmental cheese, Brinery sauerkraut & Russian dressing on grilled, hand-sliced Jewish rye bread. 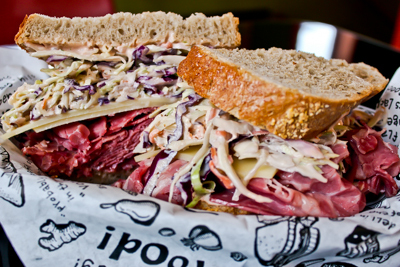 Zingerman's corned beef, Swiss Emmental cheese, coleslaw & Russian dressing on Jewish rye bread. 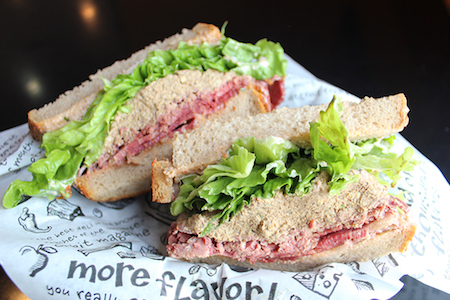 Zingerman's corned beef with chopped liver, leaf lettuce & our own Russian dressing on double-baked, hand-sliced Jewish rye bread from Zingerman's Bakehouse. 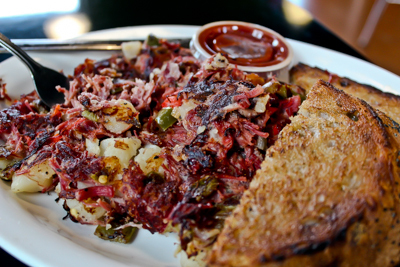 Our housemade corned beef hash served with buttered onion rye toast & own spicy ketchup. 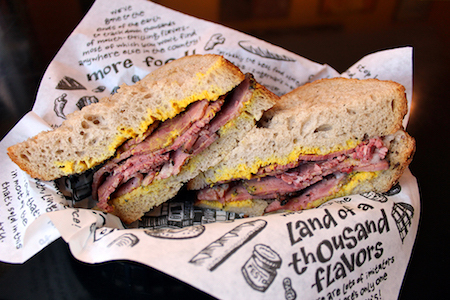 Zingerman's corned beef & yellow mustard on double-baked, hand-sliced Jewish rye bread. Ari's favorite! 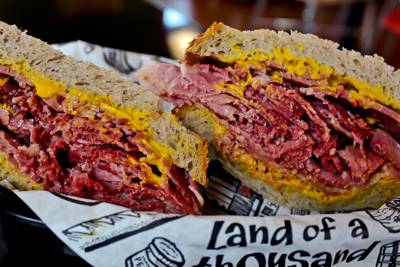 A mix of our Zingerman's corned beef & pastrami with yellow mustard on hand-sliced Jewish rye bread. #79 Sparky Get Your Zing On - NEW! 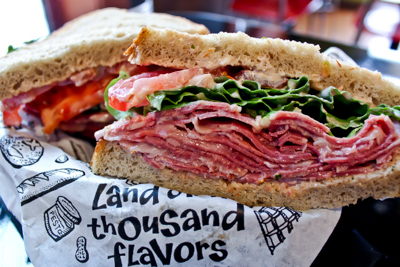 Created by longtime Deli fans with meat-loving hearts and minds. So darn good, this once sandwich of the month is now in our menu. 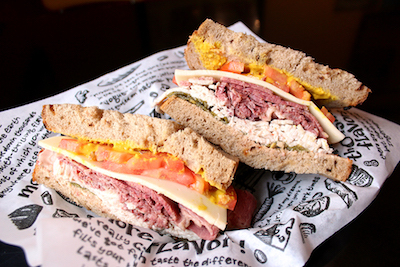 Corned beef, turkey, provolone, chiles, tomatoes, yellow mustard and Russian dressing on onion rye. 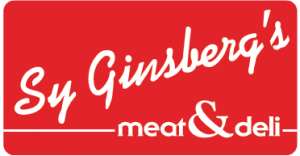 Our Corned Beef: In a NYC Slow Food corned beef taste-test, a panel of judges, including Jeffrey Steingarten, voted Zingerman’s the Best of Show. We hope you’ll agree. The quintessential Swiss cheese from the AOP protected Emme river valley region of west central Switzerland. This is the nutty, buttery real deal on all of our famous reubens! Masters of vegetable fermentation, led by David Klingenberger, right here in Ann Arbor. 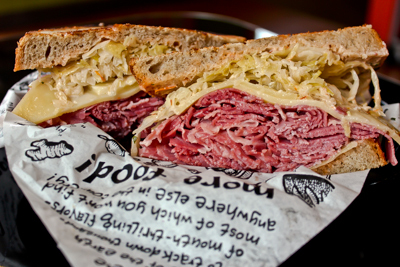 Brinery sauerkraut packs a crunch on many of our reubens. Pick up a jar of their fermentation creations for home.